If you are searching for a serviced apartments in Slough then you need to visit Windsor (5 minutes away from Slough and infinately nicer…! Windsor is home to the Queen plus many fabulous shops, bars and restaurants, let alone the Castle. Slough serviced apartments may be nice but what can you do when you step out of the door? Staying on Windsor’s doorstep in one of Accommodation Windsor’s short stay apartments means you have a home from home close to Slough (if that’s where you need to be) and within an easy commute of London too! 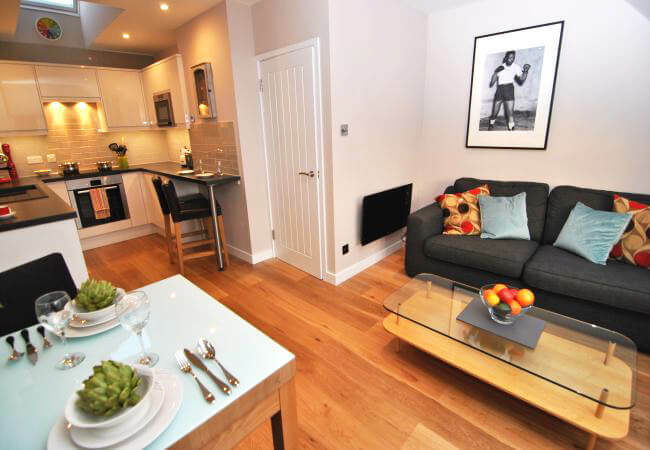 Serviced apartments are fast gaining popularity with travellers who want a bit more space and independence. Business travellers really appreciate the space and potential of an apartment and think of it as a cost-effective lifestyle choice. The prospect of spending more than five nights in the same Windsor hotel room is not one that most business travellers relish. By contrast, staying in a rented flat and having to clear up after yourself is similarly unappealing. Filling the gap in between are serviced apartments, which are becoming a popular alternative to hotels. It is evident that from the number of properties available that this is a growing market, but the demand by clients is still small. Long stay or regular travellers though are already seeing the benefits of renting an apartment. Statistics show there has been a slight increase in serviced apartment bookings this year compared with last. Part of what drives this increase is awareness that serviced apartments exist. With the growth of the web and the success of search engines like Google, more and more providers are getting noticed and getting on the lists of relocation companies. The downside is that may serviced apartment companies require a minimum 30-day stay and will charge for the full term even of the client check out early. At Accommodation Windsor Limited we feel that as long as the property rental is cost-effective, in the right location and can match the clients’ expectations of quality then this should be a successful offering. We will offer a minimum one-week stay. The cost of this when compared to a hotel and with two colleagues sharing a two bedroom, two-bathroom apartment could save the company in excess of £1000 per month. Compare that to a typical serviced apartment at £750 per week and your company could be saving more than £1400 per month! It makes sense to look at the options for serviced accommodation in Windsor as an alternative to a hotel. Contact us for an idea of pricing and availability!